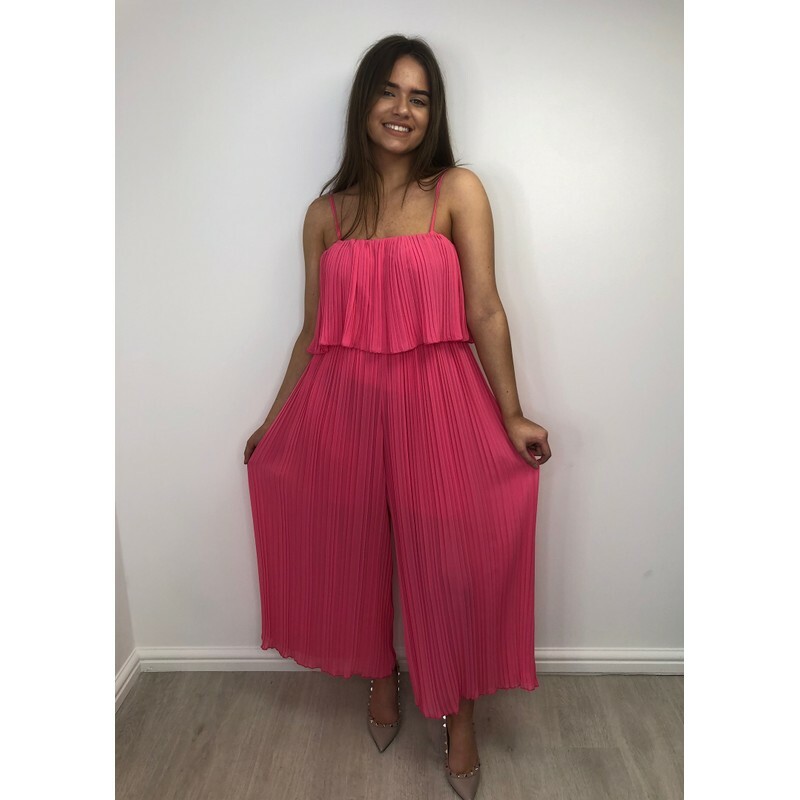 Poppy Pleated jumpsuit is the perfect summer occasion wear. It has strappy shoulder straps and a pleated panel across the chest and the wide leg trousers are also pleated. 97% polyester 3 % elastane.